HURRICAN CHARLEY ABRUPTLY, UNEXPECTEDLY CHANGED COURSE, DOUBLED ITS INTENSITY, AND STRUCK PUNTA GORDO AREA, A MAJOR U.N. BIODIVERSITY AREA WHERE NO HUMAN WILL BE ALLOWED TO LIVE! Subtitle: Just as Hurricane Isabel struck a major U.N. Biodiversity area last year, Hurricane Charley precisely struck a major Biodiversity area when it ploughed into Punta Gorda. Government is still using "Weather Modification" capability to convince people there are just some areas they cannot be allowed to live. 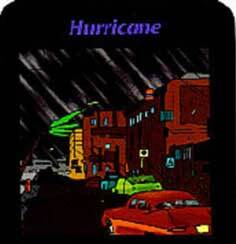 By all accounts, Hurricane Charley was a bona fide disaster for Western and Central Florida. Reported as a Category Two hurricane which was going to strike the Tampa Bay area, Charley suddenly doubled its intensity to Category Four and veered 70 miles south to squarely hit Punta Gorda. Many people were caught flat-footed as they expected the storm to pass well north. While devastation was admittedly great, there was a great difference between the official death toll and the unofficial; officially, only 22 people lost their lives, but unofficially, over 400 people were reported dead. We shall examine that news report later. But, first, let us review the current "Weather Modification" technology so poorly understood today; only then will we be able to reach proper conclusions about Hurricane Charley and its weird, "unpredictable" change in both intensity and direction. Thus, peoples of the world are doomed to be led into the worship of created objects rather than Jesus Christ, Who created all things in the universe [John 1:1-14]. People have started worshipping the human intellect, Astrology, Witchcraft, and the human body. If you have been paying attention, you will know that these trends are most powerful in the world today. The world today stands at the cusp of the final "Birth Pangs" to produce Antichrist: Wars, Rumors of Wars, Earthquakes in many places, famine and deadly plague. 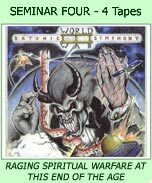 The "Preparatory Period" leading up to Antichrist also foresees a preparation to reduce the world's population by means short of the final worldwide war and plague, in activities such as Abortion on Demand, encouragement of Euthanasia and Suicide, and many smaller wars all over the globe. This period also will see the beginning of the campaign to dissolve our current Industrial Civilization, replacing it with an Agricultural Civilization like that of 300 years ago! Toward this end, regulations by the tens of thousands have put tremendous pressure on certain aspects of our Industrial way of life; toward this end, a draconian plan has been drawn up whereby most areas of the world shall be declared off-limits to human activity while other areas highly regulate all such activity. This plan is drawn below, and shall be our focus for this article. NEWS BRIEF: "NEWS BRIEF: "Malaysia to Battle Smog With Cyclones", by Chen May Yee, Staff Reporter of the Wall Street Journal, The Wall Street Journal, Thursday, November 13, 1997, page A19. A BBC New article from the same time period confirms this Wall Street News story. "Malaysia is to use Russian rain-making equipment to clear the haze which has covered parts of south-east Asia for many months. The rain machine is designed to produce high winds, creating the conditions which cause clouds and rain. The Russians say the winds will not damage property or the environment - and the Malaysian authorities will only have to pay if the rain machine works. BBC Science's John Wilson says this is highly unlikely because there is no reliable scientific evidence that cyclone technology works." We also encourage you to read the following articles on this most important subject. Read especially NEWS1196-1198 to see that other Mass Media news organizations have rather boldly written about weather modification over the years. This subject does not rise or fall on the Malaysian story. * NEWS1197 -- Articles From Mass Media Over The Years Have Talked Boldly About Weather Weapons? Now that we have a basic understanding that today's scientists can and do control all sorts of weather, including hurricanes. Mankind should never have to worry about hurricanes and typhoons ever, ever again! Our scientists today can create hurricanes, steer them accurately, and dissipate them -- at will! So, why do we still have hurricanes? To understand this question, you must understand that our current leadership -- politically, economically, spiritually, and scientifically -- are all cooperating with the one goal of which the Bible foretold so very long ago: staging of Antichrist on the world scene. Once you understand this reality, so many elements within the world today which seem disjointed and out of place will fall quickly into place. Several Secret Societies are driving the world gradually, slowly into this coming Kingdom of Antichrist -- New World Order -- and they call themselves the "Illumined Ones", or Illuminati for short. Each one of these leaders participate in occult rituals and practice Black Magick Witchcraft, the prophesied religion of Antichrist (Daniel 8:23-25). And, they share one of the characteristics of Satan, i.e., they hate mankind, wish to see two-thirds of them dead, and worship Mother Earth (Gaia) so much they want to severely restrict mankind's impact upon her. This Mother Earth worship is the reason for the draconian plan, described above, to severely restrict where mankind can live and what kind of economy in which they will be forced to live (Agricultural). Hurricanes and other natural disasters are today in America occurring according to this United Nations Biodiversity map. The core argument from the Illuminist Mother Earth worshippers is that mankind's Industrial Civilization is "unsustainable" to Mother Earth. We consume too many resources, we do not use our resources wisely, and we oppress the poor of other nations. Therefore, man's current activities are placing too much of a stress upon Mother Gaia. To release these stresses, Mother Gaia will begin to send storms to try to bring her Nature back into balance. If one storm does not cause mankind to change its behavior and activities, Gaia will send more storms and storms with greater intensity. Finally, if mankind does not start reducing its stress upon Gaia, really, really big storms shall hit. The movies, "Day After Tomorrow" (NEWS1924) and "10.5" , accurately portray this Illuminist occult belief that Mother Gaia will finally send huge storms to "restore the imbalance caused by man's "Unsustainable Civilization". Having Hurricanes hit some UN Biodiversity areas, causing drought in other areas, floods in other areas, and earthquakes in yet other Biodiversity areas, the Illuminati is setting up the scenario whereby Antichrist can declare when he arises that he is unilaterally declaring that these storm-prone areas have to be evacuated, stripped of all human activity, allowing Mother Gaia to "balance" herself once again. But -- and here is the most important point -- enough damaging storms have to hit enough UN Biodiversity Spheres to allow Antichrist to point to these spheres as areas in which the imbalance was the most severe. And, while we are evacuating these areas, Mother Gaia has told us that these other areas are also at risk for major storms because of the imbalance they possess. In one fell swoop, Antichrist will order mankind out of these designated areas and into the tiny enclaves shown on the map in light green. One final note is in order here: We do not believe this reorganization will occur until after Antichrist "cleanses" the earth of 66% of its population. This means that the implementation of this map is planned to begin in year #8 of the reign of Antichrist. Of course, God is not going to allow Antichrist to go beyond Year #7! This hurricane surely surprised a lot of people, including meteorologists and Mass Media. The storm was reportedly heading straight for Tampa Bay - St. Petersburg and was a Category 2 hurricane. Suddenly, in just a couple of hours, Charley changed course approximately 70 miles southward and intensified to a Category 4. Obviously, many people who were unconcerned about a experiencing a "near-miss" of a Category 2 might have thought and acted quite differently had they known the storm was now Category 4. Additionally, the Punta Gorda area was mysteriously cut off from electricity hours before the storm actually hit, undoubtedly causing many people to not hear that the storm had dramatically upgraded and changed course! Let us review the pertinent stories. "Hurricane Charley's 145-mph force took forecasters by surprise and showed just how shaky a science it still is to predict a storm's intensity - even with all the latest satellite and radar technology. 'Most major hurricanes become major by going through a rapid intensification. This is the Number 1 area to research. I think that there is the perception out there because of the satellite photos and aircraft data, people do have faith in the technology and sometimes that faith is too much', Max Mayfield, National Hurricane Center director, told reporters Saturday in Miami, 24 hours after Charley slammed into Florida's western coast. 'A lot of people think we can give them a near perfect forecast. We know we can't give them a near perfect forecast'.Charley quickly grew from a Category 2 to a Category 4 storm Friday and its course took a sharp turn to the right, which put it some 70 miles south of the originally projected bull's-eye ... With so much media focus on Tampa and St. Petersburg, many residents in and around Punta Gorda were caught unprepared." A lot of people paid with their lives for this sudden change in hurricane intensity and direction. "Rescue crews are counting the dead in southwestern Florida after Hurricane Charley struck the coast with devastating force. Charlotte County Emergency Management Director Wayne Sallade says many of the dead are in a mobile home park where trailers were blown apart. Ambulances cannot get to all the dead. The number of confirmed dead is around 15, with a higher number feared due to missing persons ... Much of the destruction is concentrated in the Punta Gorda and Charlotte Harbor areas. Three hospitals, a number of fire stations and countless homes are destroyed. The number of buildings damaged by the Category Four storm may be 250,000. The National Guard is on the scene as emergency workers look for the missing. Emergency managers say they were surprised by the storm's impact; they had expected Charley to move toward Tampa Bay and didn't expect the storm to make a sudden right turn." "PUNTA GORDA, Fla.  Troy and Belinda Hurd don't know how long it'll take to remove the 30-inch-diameter, 30,000-pound royal palm that sliced through their house when Hurricane Charley slammed this historic oceanside city ... The tree crashed into their home less than five minutes after they had evacuated ... Much of this picture-postcard city lies in ruins. It was in the bull's-eye of Hurricane Charley when the storm roared ashore Friday with 145-mph winds. On Sunday, the whine of chainsaws was everywhere as people dug out from a disaster that, in many cases, claimed everything." Officials seemed unusually skittish about revealing the true scope of devastation and death Charley caused. "CHARLOTTE COUNTY - Two refrigerated trucks sat in the wind-torn parking lot of the Best Western Water Front Inn off the tranquil waters of Charlotte Harbor, serving as a temporary morgue for the casualties of Hurricane Charley ... With ongoing search and rescue efforts stretching into the evening hours Sunday, Charlotte County emergency officials declined to confirm the county's fatalities. 'We've never dealt with a mass casualty event, and we're not yet prepared to (verify) or acknowledge the number of fatalities', said Wayne Sallade, director of Charlotte County's emergency management. 'Yes, there are fatalities. Yes, there are people in those refrigerated trucks at the temporary morgue, but we're not prepared to say how many. At this point, I'm not sure that I have the accurate number' ... The path Charley carved through historic Punta Gorda remained clear two days after the storm. Steel traffic posts bent like rubber straws, trees snapped in half like pencils, and dangerous power lines lay strewn along the streets. Along the city's main thoroughfares Sunday, sirens still wailed and helicopters soared overhead." Note the words from Wayne Sallade, director of Charlotte County's emergency management: "We've never dealt with a mass casualty event". How many dead does it take before a natural disaster is considered to be a "mass casualty event"? Sallade did not specify any number, nor did any other official. However, other, unofficial reports put the death toll much, much higher. These figures came from our own eyes, medical personnel, various county sheriff's deputies, and eye witnesses or residents from the worst devastated areas. CNN and the rest of the world biased and controlled media are fooling none of us who live here. 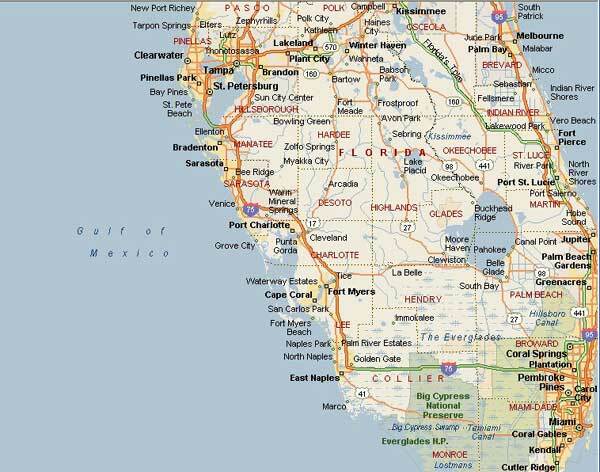 The current CONFIRMED body count in our 3 county area on the west coast of Florida is near 400 as I write this." Notice that the people doing this counting were either retired military and/or law enforcement people, not just curious naive grandmothers. Therefore, their personal testimony carries a great deal of weight. In a court of law, the most credible testimony comes from professional people trained in a field in which the inquiry lay. Since we depend upon military and law enforcement people to step in to situations like a hurricane aftermath, their testimony is highly relevant. The only "miracle" apparently was that the state and Federal governments had the audacity to keep the death toll down so low. Now, at this point, you might ask, "why would the government be so interested in keeping a death toll down in an event in which they had a hand?" Certainly, one must also question the accuracy of the death toll from the World Trade Center attack of 9/11. Since 50,000 people work in each tower, and since the workday for offices in New York City typically run from 8-9 a.m., you have to wonder how many of the potentially 100,000 people were able to get out before the buildings were deliberately imploded, in a destruction so violent that bodies were totally vaporized. Deaths of individuals are individually mourned. The only entity keeping a master list is the government, either state or Federal. No family who lost a loved one during the WTC knows exactly how many others really died. So, the question of the hour is "why would the government want to suppress the true death toll"? The Illuminati believes so totally in the Dialectic Struggle that they have been known to create their own enemy just in order to start the desired conflict. For this reason, American monies began to flow into Hitler's party coffers in 1924 ("Best Enemy Money Can Buy") and monies and CIA backing flowed to Saddam Hussein three decades ago (Depleted Uranium Update: Hidden Wars of Desert Storm"). The formula is really quite simple: "Conflict brings about change; controlled conflict brings about controlled change". Therefore, the Illuminati must always control both sides of the conflict. If they lose control of one side, their overall objective might be lost, might never be achieved. If the American people really believed that 40,000 people died in the World Trade Centers, they would likely rise up as one enraged bull to demand that President Bush nuke the people whom our government fingered as the culprit. At the time of the 9/11 attacks, the Illuminati did not want to spark a nuclear regional or world war; rather, they wanted the ability to begin an invasion of Afghanistan and later Iraq, while vigorously implementing hundreds of new laws which will give them dictatorially power once the next controlled conflict gets underway. Thus, in order to keep control over a disaster, the government lowballs the number of fatalities so they can control the reaction of the people to any given disaster. 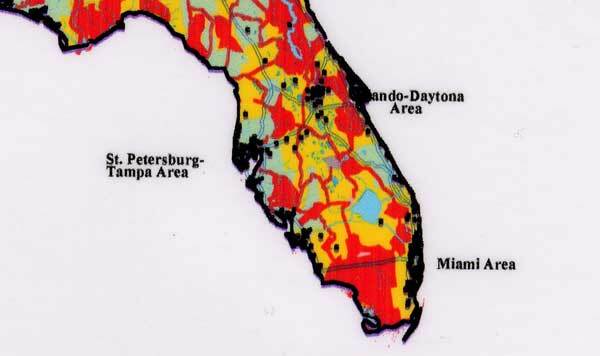 By comparing this Florida Biodiversity map to the regular map, above, you can easily see that Hurricane Charley scored a bullseye hit on Punta Gorda, which just so happens to be a significant U.N. Core Reserve area. We have already explained that a the Reserve and Corridor System is an area in which no human activity will be allowed. While that is true, it is not the whole story of this draconian program. Once human beings are removed from these areas designed on this USA map in red, what is the government going to do with the land? The answer is both simple and draconian. The government will remove all evidence of this Industrial Civilization and then allow the country to go back to the wild. The term for this planned action is "Re-Wilding". Re-wilding is another type of planned event that shall devastate our world as we know it; this part of the plan will take away your Private Property, can throw you into a government preserve, will kill two-thirds of mankind, and will highly regulate the survivors and their activities. Many people call this part of the plan, "Extreme Environmentalism" and it is one of the keys to the implementation of the New World Order. Another term for this plan is "Re-Wilding" which simply means allowing the land to go back to the original 'wild' nature after all human activity is swept away. This plan is being implemented through the United Nations organization, UNESCO, an organization that deserves to be feared above all others. What is the human philosophy behind the "Re-Wilding" aspect of the U.N. Core Reserve and Corridor System? One of the major teachings of humanism is that man is no better than the animals. In fact, he is just an animal more highly evolved. 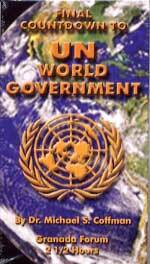 However, top leaders of the New World Order Plan have taken this concept to a new, and more radical, plane. They are insisting that man has evolved into such a "predatory" animal, that he threatens all other animals, and Mother Earth herself [Gaia is her name] with extinction. Man's "predatory" nature now threatening the world is manifested in his pollution and destruction of the environment and his destruction of the many species of wildlife. Therefore, man is a dangerous "animal" that must be controlled by other men who have spiritually "evolved" into a higher state than the rest of us humans. Of course, these "more highly evolved" humans just so happen to be the ones who are controlling governments, global institutions, and armed forces today that are spearheading the drive to the New World Order!! 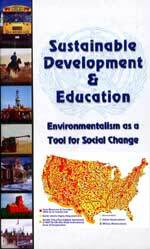 They have concocted many extreme environmental "crises" that are global in nature, and are being promoted by schools and various governmental agencies as "turning mankind upside down". Further, expect that we shall soon hear that Mars was destroyed by men who mindlessly and carelessly polluted her, with the implication that we had better stop our current way of living that is doing the same environmental damage to Earth!! Thus, about 60% of all of America is planned to be set aside in either "No Human Activity" zones which are shown as red and Buffer Zones which will see human activity highly regulated and is depicted on this map as yellow. As we have stated many times, the time will come when the Ultimate Man -- Antichrist -- will be on the world scene, galvanizing the people with his charisma and his mighty "signs and wonders". As he begins his cleansing of our current civilization and his de-population programs so Mother Gaia can be balanced again, he can point to the historic precedents set by historical mighty storms. He can explain that, since mankind could not act responsibly to restore "balance" in Nature, Mother Gaia attempted to do so by sending huge and terrible storms. He can point to great storms along the East Coast of the United States, to the drought afflicting entire sections of the earth, of tornadoes, earthquakes and volcanic eruptions; overseas he can point to the mighty storms that have devastated third world nations like India and Bangladesh during the 20th Century. He will explain that U.S. storms were caused by the unbalance to Mother Gaia created by our Industrial Civilization while countries like India and Bangladesh have suffered devastation because their overpopulation was causing imbalance. Therefore, in one fell swoop, Antichrist will order the implementation of his global "Re-Wilding" campaign. Unlike the specific and limited U.N. Reserve and Corridor Program, this campaign will cover entire continents, just like our USA Re-Wilding Map demonstrates. Truly, events are spiraling toward the final prophesied moments known as the Tribulation Period. Are you spiritually ready? Is your family? Are you adequately protecting your loved ones? This is the reason for this ministry, to enable you to first understand the peril facing you, and then help you develop strategies to warn and protect your loved ones. Once you have been thoroughly trained, you can also use your knowledge as a means to open the door of discussion with an unsaved person. I have been able to use it many times, and have seen people come to Jesus Christ as a result. These perilous times are also a time when we can reach many souls for Jesus Christ, making an eternal difference.